Coaching is a significant tool for pastors and Christian leaders that enables conversations to be focused, effective and fruitful for the benefit of the kingdom of God. Coaching can make all the difference for leaders and churches desiring to be on mission together. The Ecclesia Network is hosting a Coach Training Event for missional leaders desiring to grow in the heart and skill of coaching. If you have questions or need additional information contact Bob Hyatt at bob.hyatt@ecclesianet.org or J.R. Briggs at jrbriggs@ecclesianet.org. 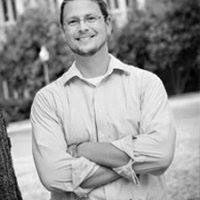 Chad Hall (Th.M Princeton Seminary, MTS Duke Divinity School) is a coach, teacher, writer and trainer. He serves on the faculty of Western Seminary and is the founder of Coach Approach Ministries. He is the co-author of Faith Coaching: A Conversational Approach to Helping Others Move Forward in Faith. J.R. Briggs has served in ministry for over a decade in mega-churches, house churches and church plants. He has written three books on a variety of topics intended to equip the Church for greater maturity. Currently he is finishing up two book projects with InterVarsity Press, Fail: Finding Hope and Grace in the Midst of Ministry Failure (July, 2014) and Mission-oriented Eldership (Jan, 2015). Bob has felt drawn to pastoral ministry since the 5th grade- he’s always known: this is what he wanted to do- helping people find relationship with God. This has worked itself out most clearly in planting the Evergreen Community in 2004. This has now expanded to also include coaching church planters and other pastors. He is a graduate of Western Seminary and currently finishing a D.Min at George Fox Seminary. He’s also the co-author of an upcoming book from InterVarsity Press.